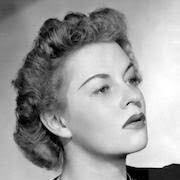 Uta Hagen (June 12, 1919 – January 4, 2004) was a successful theater actress and acting teacher. She was the first actress to play Martha in Who’s Afraid of Virginia Woolf on Broadway, a performance that earned her a Tony Award for Best Actress in a Play. She earned three over the course of her career, including one for her performance in Clifford Odet’s The Country Girl and a Special Tony Award for Lifetime Achievement in 1999. Hagen was also a highly influential acting teacher. She taught the craft of acting at the famous HB (Herbert Berghof) Studio in New York City. She also authored best-selling acting books like A Challenge for the Actor and Respect for Acting. Her influence on the craft can be seen in actors such as Matthew Broadrick, Al Pacino, Sigourney Weaver and Whoopi Goldberg.